The sister duo of Wendy Flower and Bonnie Flower (their real names, not aliases), Wendy & Bonnie recorded one album in the late '60s. 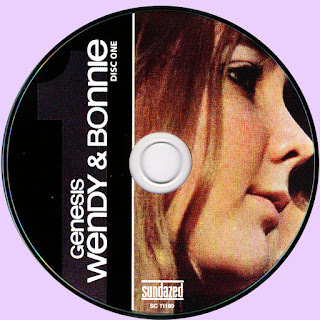 Genesis is pleasant, if naïve, harmonized light rock with psychedelic, jazz, and folk influences. 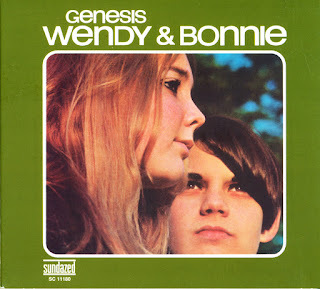 It is impressive given their tender ages -- Wendy Flower was just 17, and Bonnie Flower only 13, when it was recorded in late 1968, and the pair wrote all of the material on the LP. The Flowers grew up in a musical family in the San Francisco Bay Area, and prior to recording on their own, did a couple of garage-psychedelic singles as part of Crystal Fountain; Wendy sang lead, and Bonnie played drums. Jazz star Cal Tjader put them to the attention of a jazz label he recorded for, Skye, which made the Wendy & Bonnie LP its lone venture into rock. Genesis was pretty sparsely produced, the arrangements highlighting their harmonies and pensive paisley tunes, but did benefit from backing by some top Los Angeles session musicians, including drummer Jim Keltner and guitarist Larry Carlton. The album was released in 1969, but stalled when Skye Records folded the following year. The death of producer Gary McFarland in 1971 further discouraged the duo. Although they did sing backup vocals on a couple of Tjader albums and some jingles and background vocals at Fantasy Records, they never recorded their own material again, and broke up in the early '70s. 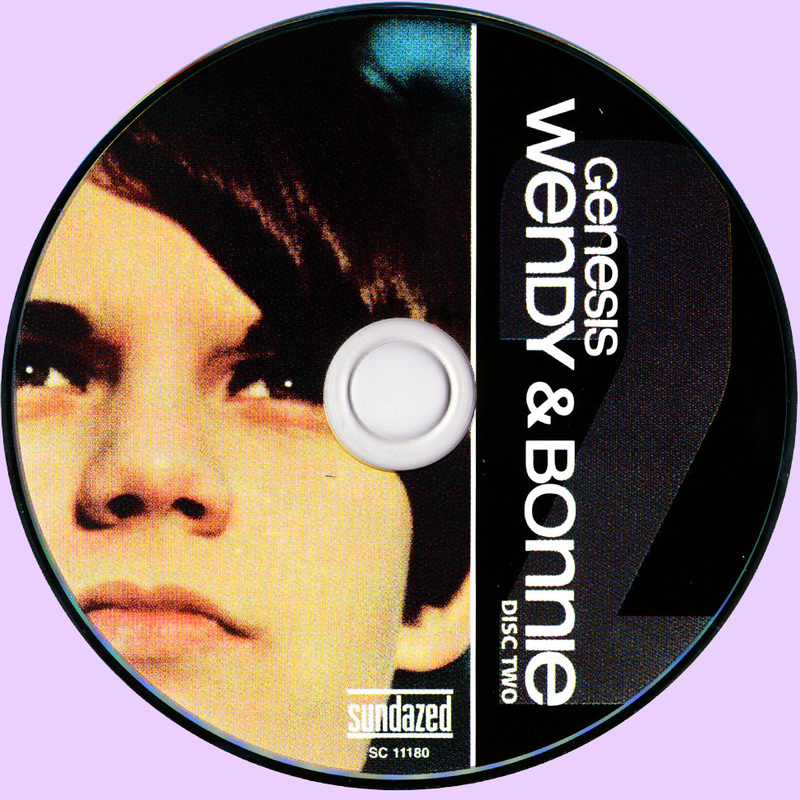 They did perform music separately in the subsequent decades, Wendy Flower issuing a children's music cassette, and Bonnie Flower once rejecting an invitation to join the Bangles. All songs by Wendy and Bonnie Flower except where noted. Thank you so much for this,marios! I had only the single cd edition. I'm searching Vince Martin‎– If The Jasmine Don't Get You...The Bay Breeze Will reissue on Rev-Ola...any chance to see it? This band is amazing. Never heard of Wendy & Bonnie before but you put me on to it as well as many other amazing LP's so thank you for that. Never stop posting music Rockasteria is the best blog ever! It seems there is something wrong with the files. I downloaded both rar-files in mp3 format, but I can't extract them. Could you please check the mp3 files and upload another version? 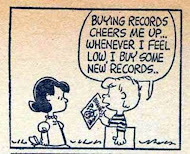 I would love to have this record. Thanks, Marios. I read your comment now. I assumed the password was "xara". Sorry. for this specific file it was not xara, in any case it is always written along with the other file details. THANKS A LOT Great Blog! Great music, great people, great times! I'm getting late again with this one too.Thanks for re-up when you can.Thanks.